Sam’s time drinking Demon Blood? Thought I’d start a topic on this, as it is developing in another thread, and thought it deserved some air time. I have always been fascinated by this area in Sam’s story from the jump, I got who he was. How he saw himself, a freak of nature and rebelled against it so much. Eventually he scummed to the temptation and began as we know down that slippery dark slop. We no now Sam got over the addiction but, what real lasting affects did Sam drinking blood and demons blood (Rubies) have on him years later? What was Ruby really up to. How far would she really go? Sam Winchester: [after Dean confronts Sam about using his powers] You were gone. I was here. I had to keep on fighting without you. And what I’m doing, it works. Dean Winchester: Tell me, if it’s so terrific, then why’d you lie about it to me? Why did an angel tell me to stop you? Sam Winchester: [Sam looks up, startled at Dean] What? Dean Winchester: Cas said if I don’t stop you, he will. See what that means, Sam? That means that *God* doesn’t want you doing this. So, are you just gonna stand there and tell me that everything is all good? Sam: I’ve got demon blood in me, Dean! This disease pumping through my veins, and I can’t ever rip it out or scrub it clean! I’m a whole new level of freak! And I’m just trying to take this – this curse… and make something good out of it. Because I have to. Sam was so mad, how much story had he kept to himself over the years? My question had been answered why an intelligent guy like Sam could have been so easily overcome by someone like Ruby. How gullible he was to trust her, and be over powered by someone like her, and leave Dean for her. Sam leaving Dean for Ruby was a real deal breaker for many. But lets look at this in more detail. 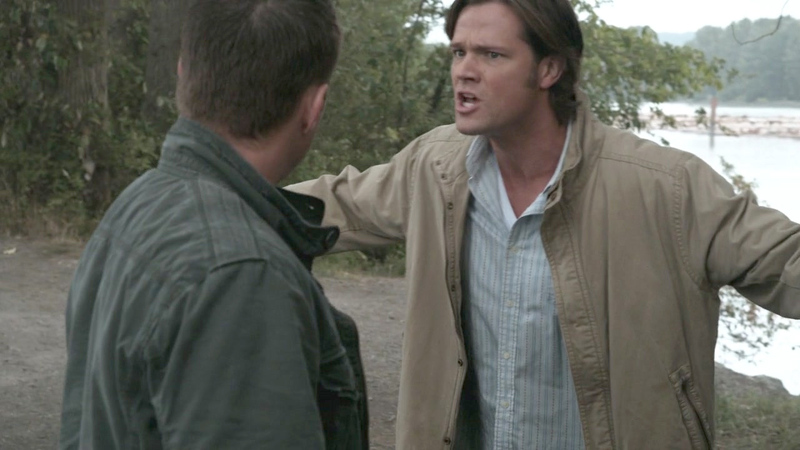 Why did Sam really walk out on Dean? Why did Sam decide to walk away from the one whom loved ‘him’ the most? The one who brought him up, and cared for him daily. We no Dean wasn’t left with Sam as much as we thought he might have been. But Dean still took on that responsibility of looking out, and looking after Sam. So WHY would Sam decide to walk away from that security, that domain that he grew up in. What really pushed him over the edge, to walk away from Dean. Most importantly why is he always walking away from Dean? Did he feel perhaps, Dean seemed as though he was controlling him? That Dean was perhaps too over powering and over bearing for him. Had Sam felt suffocated by Dean, not being able to live his own life. The whole power struggle was a real struggle for Sam, and very real to him. He never could get used to the idea of living with the thing that made him out to be, that subnormal freak. Out of control, and being used by someone else. (Other demons) The one that never fitted in, the one that didn’t want the life he had been dealt. Why did Sam really give up on the Demon blood? Was it because of the angels? Was it because of Dean, or was it simply because he wanted to do it for himself? How hard was it for Sam to live with his secret? We never really saw the demon blood from Sam’s point of view. What the blood addition in his life really did to him? What he really thought of the hole damn mess that he just wanted to push to one side and brush under the carpet. With these trials its a possibility that Sam’s power may be used, how do we feel about them returning. How did you feel about Sam’s power in the whole Supernatural story. Was this good, clever writing the way the writers injected this thread and weaved it in, in the first place? So many questions surround Sam’s demon blood saga. What really upset you about Sam during this time. Do you think he handled it wisely? Do you think Sam really thought about his actions? 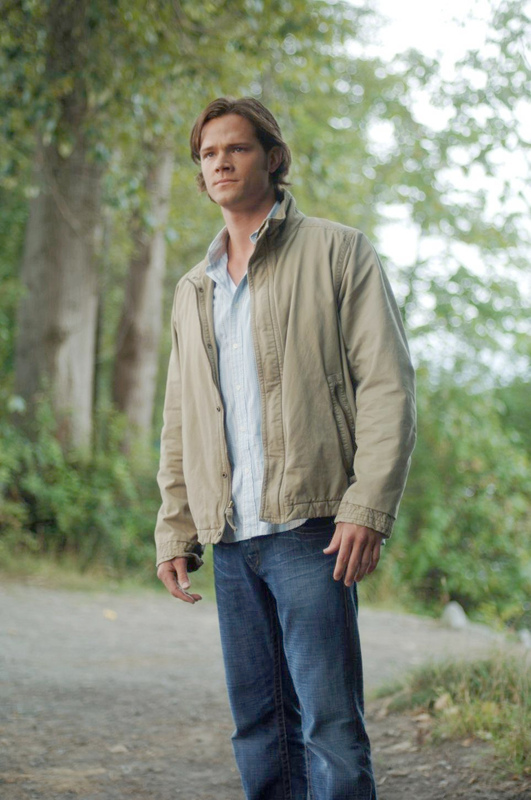 Do you think Sam enjoyed being fixated and obsessed by the power of the demon blood? Was killing Lilith his only end game, was he satisfied that this power was being used for good and not evil? Was Sam really thinking that his powers were being used for good intentions, was someone else manipulating his thought process too? I have so much discussion in me about Sam’s power. As from the jump, this was what drew me into the show. What fascinated me. A story needs to have some attraction to draw you in and for me, this was it. Bella would love you to drop her a line, on this touchy subject matter. What, and how do you feel about Sam’s overall arching powers. Was he right in how he dealt them, and how he went about using them? Would Sam have gone ahead and used them if it wasn’t for Ruby manipulating him? Did the show really push its boundaries with this plot, was it something rather special? Or a total sham? ← Could these trials separate the boys?